Guildonian Players: Next show now in rehearsal! Next show now in rehearsal! 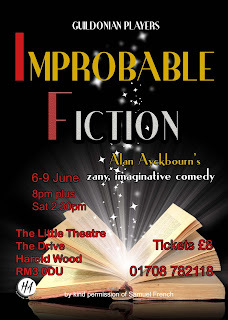 Our next play will be Alan Ayckbourn's zany, imaginative comedy Improbable Fiction. A group of six aspiring writers meet on a winter's night to discuss their work ... or lack of it. What unfolds next is a wild and whacky fantasy of the story which might unfold if they were to collaborate – hold on to your hats! 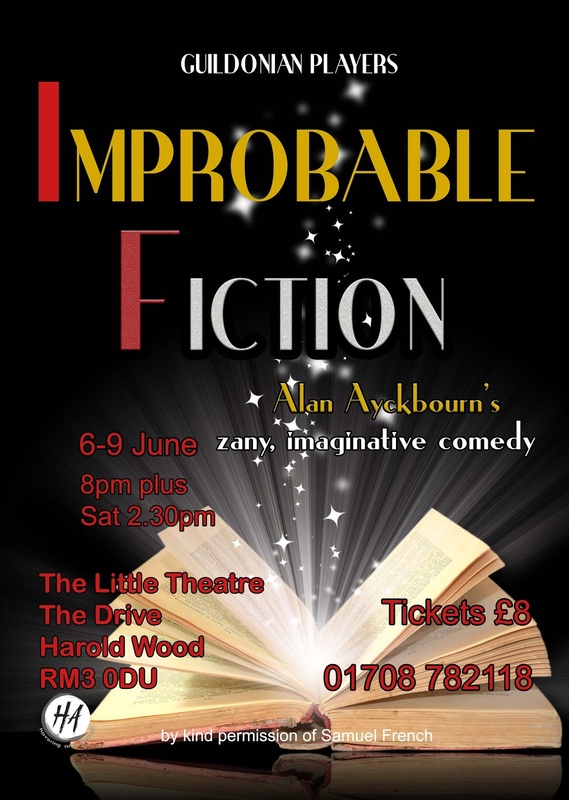 Fast and furious, Improbable Fiction is Guildonian’s entry into the Havering Drama Festival.